Bon Iver in Montreal or Quebec City? Inform me about the next events for Bon Iver. Enroll yourself to our priority waiting list for Bon Iver to be alerted when new tickets are available. Filling this form doesn't engage you to any purchase. 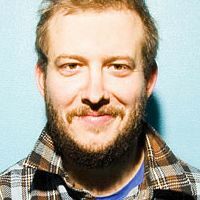 Bon Iver will be performing at the Metropolis, in Montreal, on December 5th, 2011. Justin Vernon and his colleagues will finally be back in Montreal to perform the songs from the self-titled sophomore album, released last June. Bon Iver gained major attention in 2007 with its debut album For Emma, Forever Ago.